Three different ways to learn. Choose what suits you best. To the right, a quick instructional video. 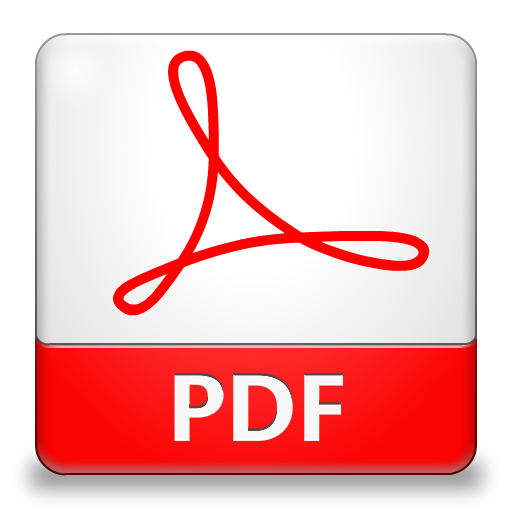 Or, view or print a PDF file of written step-by-step instructions. 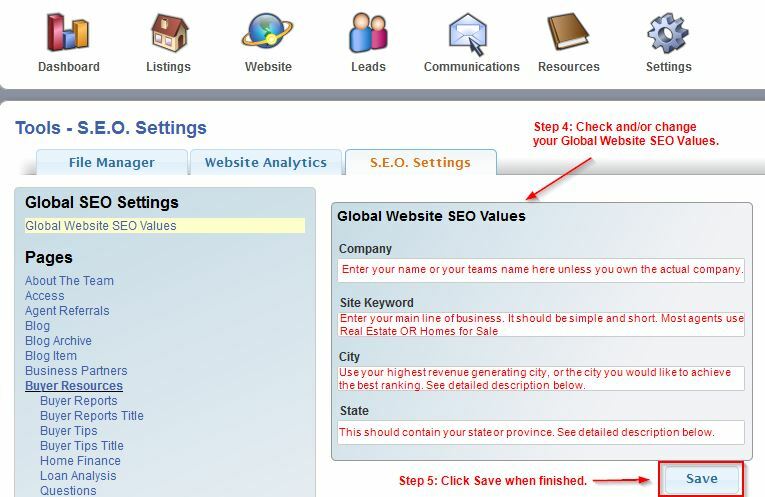 It's important to have your Global Website SEO Values set correctly for the search engines. These fields should be a combination of words that generate the most revenue for you, or the words on which you would like to achieve the best ranking. The "Company" field should be your name or your team name, unless you own the actual company. The "Site Keyword" field should be simple and short - Real Estate or Homes for Sale. Agents would normally use one or the other. This wording automatically appears in your website title and description. The "City" field should be either your highest revenue generating city, or the city you would like to achieve the best ranking. Don't worry about all your cities here. You can create custom pages on the other cities you handle and customize their SEO settings as well. The "State/Province" field should contain your state or province either abbreviated (Example: CA for California) or spelled out (Example: California instead of CA). It will be one or the other. However you think people are searching for properties in your area. Custom pages can be created not only to reinforce your primary area, but also to achieve ranking on other surrounding areas that are important to you.